After receiving a Bachelor of Science degree in 1983 from Fordham University, Dr. LaPorta received a Doctor of Dental Surgery from Georgetown University School of Dentistry in 1987. He remains active as a member of the Georgetown University Dental Alumni Board. Dr. LaPorta has been practicing Family, Cosmetic, and Implant Dentistry for over 20 years. 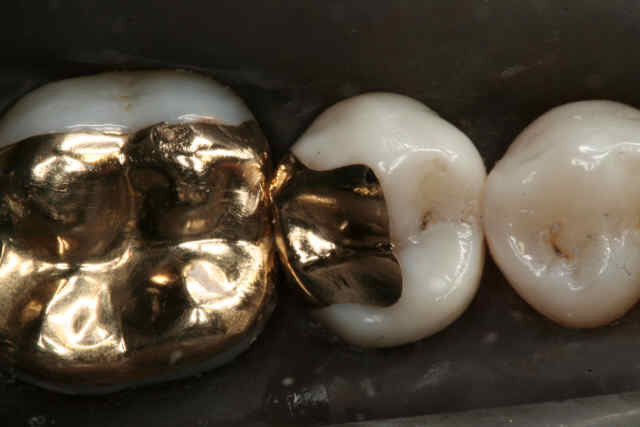 With an emphasis on "life time" restorations, Dr. LaPorta offers direct and cast gold restorations for posterior teeth. In addition, Dr. LaPorta provides diagnosis, management and treatment of TMJ diseases. He offers various types of cosmetic procedures including, teeth whitening, porcelain veneers, ceramic and composite resin restorations. Dr. LaPorta is very active in organized dentistry. He is a member of the ADA and the New York State Dental Association. He became President of the 9th District Dental Association in 2002. Dr. LaPorta is an active member of The American College of Dentists, The Pierre Fauchard Academy, The American Academy of Gold Foil Operators, and The Academy of Richard V. Tucker Study Clubs, The Academy of Operative Dentistry, the Georgetown University Dental Alumni Board, the Georgetown Dental Alumni Study Club, NY Chapter President, and he is the attending dentist for the King Street Nursing Home since 1989. Dr. LaPorta has been recognized for his contributions and accomplishments to his profession. He was awarded the "New Dentist Leadership" award from the Dental Society of the State of New York, as well as the "D. Austin Sniffen" award from the 9th District Dental Association. Dr. LaPorta maintains a private practice in Armonk, New York. He lives in Goldens Bridge with his wife Christina, a school psychologist, and their two daughters, Daniella and Giuliana. Bright and comfortable examination rooms coupled with the latest technology and the award-winning skills of our staff makes for a pleasant visit to our office.